After the 2013 edition of the competition in Thailand, China head coach Dong Ruijun said: “We were able to gain great experiences from this tournament for the future of our youngsters.” Just over a year later, an exceptionally talented Yuan Xinyue was crowned “2014 Rookie of the Year” in China, across all sporting disciplines. The FIVB Girls' U18 World Championships were a key stepping stone in her development and the competition is sure to play a similar role for other players when the 14th edition takes place in Peru from August 7-16. Other well-known players who have participated in the competition include Jordan Quinn Larson-Burbach (USA) and Thaisa Menezes (Brazil), both in 2003. 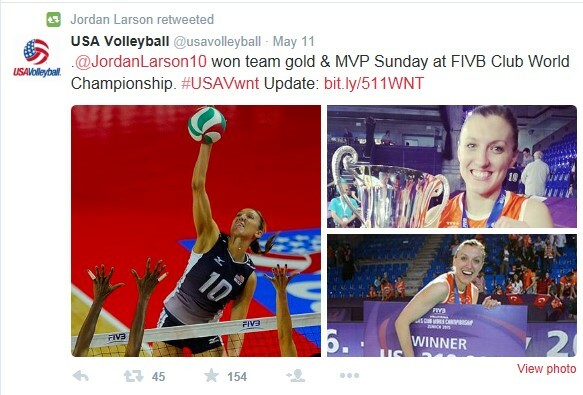 The latter went on to win Olympic Games as an outstanding middle blocker in 2008 and 2012, while Larson-Burbach led the USA to their first ever World Championship title in 2014. She also won the FIVB Volleyball Women’s Club World Championship two years in a row with different teams – Dinamo Kazan in 2014 and Eczacibasi Istanbul in 2015. Other stars have also earned their stripes at the Girls' U18 World Championships: Belgium's Lise van Hecke, who will play in the Brazilian Superliga this season, was the top scorer in Thailand in 2009. The U18 Girls' competition was first held in Curitiba, Brazil back in 1989. The hosts had to be satisfied with silver with the Soviet Union claiming the title. The winners – and their successors Russia – were on the podium in each of the first five editions up to 1997. During this period, the Russian Federation won two titles, were silver medallists twice and bronze medallists once. China, however, are the nation with the most titles in this competition. Their win in 2013 took them to four golds (after victories in 2001, 2003 and 2007). They are followed by team Brazil with three victories (1997, 2005, 2009), who hold the record with nine podium finishes in 13 editions. Russia (1989 and 1993) and Japan (1995 and 1999) have each made it into the list of World Champions twice; Korea (1991) and Turkey (2011) are on single victories. A total of eleven nations have won medals – in addition to the six gold winners, these are Italy, Serbia, USA, Poland and Belgium. 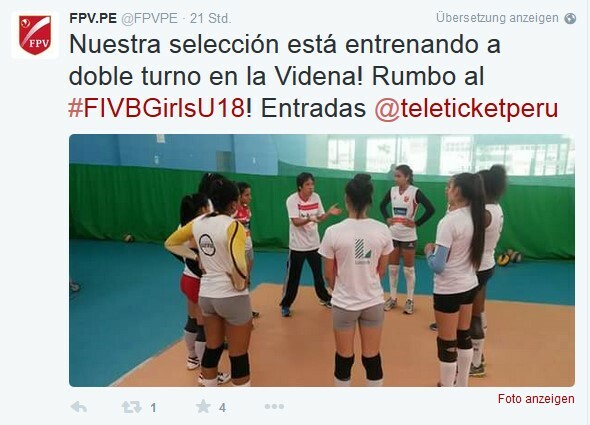 Peru, who were fourth at the FIVB Girls' U18 World Championships in 2013, host the championship for the first time. The competition has been held in Thailand three times and in Portugal twice. After Brazil (1989) and Mexico (2007), it will be held in the Americas for the third time. And which of the 20 teams is the favourite to win in Peru? There is no doubt that China are again in the mix. "There are 11 players who participated in the Asian Girls' U17 Volleyball Championship in 2014. The Chinese Girls' U18 team is a reservoir of talent for the senior national team," said coach Shen. Li Yingying is one of the most prominent Chinese players – as well as the top scorer in this young squad. The 15-year-old left-handed ace spiker, who is 1.92m tall and boasts excellent abilities in leaping and body coordination, was picked as the Best Middle Blocker at the 10th Asian Girls’ U17 Volleyball Championship in 2014. "Her technical ability is unexpectedly all-round, and the fact she is a left-hander distinguishes her from other players," Shen said. And perhaps she will be the competition's next star.